When in 1976, I first met Ivan Illich at the Green Gulch Farm, he told me that his current focus was the study of economics. Then, I didn't understand that by the word economics, Illich meant a way of life where things are experienced only under assumptions of scarcity. Illich saw this as profoundly wrong. For him, creation was a gift, accessible to every man and women--without any expert ministrations or institutionalized services. His critique of schooling, the pursuit of health, high technology and sexual equality all challenged core beliefs in progress and the capacity of progress to reduce suffering and improve the human condition. When I try to understand Ivan Illich, I am forced back upon my experience in the Jesuit Novitiate in the 1950's. There, I was taught Ignatian indifference to secular values of long life, fame and riches. It is only through that mystical lens that I can grasp the powerful simplicity of the way Illich lived. He had no home of his own and relied on the hospitality of friends. He traveled from place to place with never more than two bags. He refused medical diagnosis, any form of insurance and gave away whatever savings remained at the end of each year. On December 2, 2002, Ivan Illich died in Bremen, Germany at the home of his friend, Barbara Duden. Three months earlier, he and I and two friends shared the pleasure of walking together through the streets of Florence, Italy. We enjoyed a leisurely meal in a small, typically Tuscan restaurant. Laughter and Chianti flowed freely. As I got up to pay the bill, I noticed Ivan coming back from the cashier. He had already taken care of it. 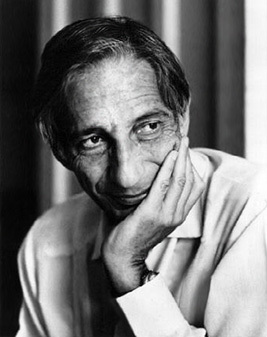 Among the serious thinkers I have had the privilege to meet, Ivan Illich alone embodied in his personal life as well as in his work, a radical distancing from the imperatives of modern society. From Deschooling Society (1971) to In the Vineyard of the Text (1993), he bore witness to the destructive power of modern institutions that "create needs faster than they can create satisfaction, and in the process of trying to meet the needs they generate, they consume the earth." Ivan Illich was the rarest of human beings: erudite, yet possessed of aliveness and sensitivity. He savored the ordinary pleasures of life even as he cheerfully embraced its inevitable suffering. Steeped in an authentic Catholic tradition, he observed with detachment and as a pilgrim the unforgiving allure of science and progress. With acute clarity and a sense of humor, he undermined, in all that he wrote, the uncontested certitudes of modern society. In his last visit to Oakland, he invited the local archbishop to discuss matters of Catholic theology that greatly troubled him. Before he died, Illich wanted to engage ecclesiastical representatives in a conversation about corruption in the early church and the evolution-as he saw it--of Christian charity from a personal act to planned institutional services. This he called the corruption of the best becoming the worst- Corruptio optimi quae est pessima . His interlocutors arrived at my loft and were ushered into the library. Illich spoke at length, summoning up his vast store of Church history. He tried one subject, then another, but the bishop and his clerical assistants seemed nonplussed, even uncomfortable. Soon the conversation was over and our guests excused themselves and left. I am sure they were wondering what in the world Illich was getting at. Two days after Illich died, the New York Times printed an obituary that was a polemic rather than a thoughtful remembrance. The writer described Illich as a preacher of "counterintuitive sociology" to "a disquieted baby-boom generation," using "Jesuitic argumentation" and "watered-down Marxism." He also quoted a deceased Times literary critic who said in 1989 that he would "especially" discard Illich's books from his personal library. Given Illich's frontal assault on the status quo, it is not surprising that the paper of record would so interpret his work. In the Seventies, facing sharp criticism from the Vatican, Illich withdrew from the active priesthood and refrained from speaking ever again as a Catholic theologian. Instead, he focused on the nature of technology and modern institutions and their capacity for destroying common sense and the proper scale for human activity. Illich identified the "ethos of non-satiety" as "at the root of physical depredation, social polarization, and psychological passivity." Instead of welfare economics and environmental management, Illich emphasized friendship and self-limitation. At first, Illich offered trenchant social criticism, particularly in Tools for Conviviality (1973) and Medical Nemesis (1976). In later years, he turned his attention inward and to what one of his friends called an ancient way of doing theology. In an essay entitled, The Cultivation of Conspiracy, Illich wrote: "Learned and leisurely hospitality is the only antidote to the stance of deadly cleverness that is acquired in the professional pursuit of objectively secured knowledge. I remain certain that the quest for truth cannot thrive outside the nourishment of mutual trust flowering into a commitment to friendship." In the last twenty years of his life, Ivan Illich suffered increasingly from a persistent growth on the side of his face, which he never treated, nor had diagnosed. In explaining why he voluntarily suffered, he said simply: nudum Christum nudum sequere. I follow the naked Christ. "Yes, we suffer pain, we become ill, we die. But we also hope, laugh, celebrate; we know the joy of caring for one another; often we are healed and we recover by many means. We do not have to pursue the flattening-out of human experience. I invite all to shift their gaze, their thoughts, from worrying about health care to cultivating the art of living. And, today with equal importance, the art of suffering, the art of dying."